Sun exposure, acne, ageing and inflammation can lead to dark spots, frown lines and freckles on the skin. The most common symptom amongst the many is patchy spots found on the face and forehead. The reason for this is that melanin, the pigment that gives the skin its colour, becomes damaged and results in the skin cells discolouring. Although this is harmless, it can become a nuisance due to being highly visible and ultimately requires intense treatments to get rid of. All skin types are affected by hyperpigmentation and although the spots can be covered by makeup and foundations, they will still remain visible to the naked eye. Now, dermatologists have recommended a topical pigment-reducing cream as a first line of treatment. Treatment is often administered over several months, but Demelan creams have shown their effectiveness in just under four weeks. It is available locally and is an effective pigment-reducing treatment that can help bring back radiance to your skin. Active ingredient Alpha-arbutin is a naturally derived ingredient, known for its ability to reduce dark marks. Kojic acid has anti-inflammatory properties that help reduce the dark marks and glycolic acid is a peeling agent derived from sugar cane that can quicken the depigmentation process, leaving the skin healthy and clear. The cream does not contain hydroquinone, which is a skin-lightening agent often used in other treatments. This synthetic-based ingredient has been known to cause skin sensitivity. Demelan Cream products can be incorporated in your daily skin care routine. A small amount of the cream can be applied to the affected areas in the evening after your normal cleansing routine. Demelan Cream should not be used as a replacement moisturizer, but must be applied before your moisturiser so as not to create a barrier between the treatment and your skin. 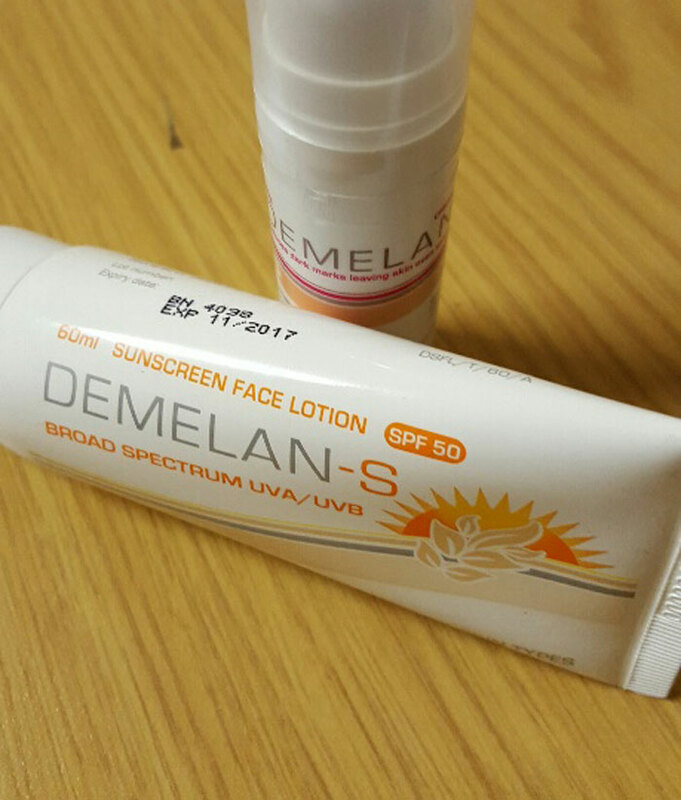 The Demelan Sunscreen – with an SPF30 – has to be applied during the day and prolonged sun exposure should be avoided while treating pigmentation problems. The treatment should stop once the discoloured area returns to the same shade as the surrounding skin. Demelan is available at most pharmacies, without prescription. It should not be used with any other pigment-reducing or peeling treatments. Severe or intense discolouration of the skin must be treated under the guidance of a professional skincare specialist. The product is used to assist in the evenness of skin tone to improve appearance and texture. One lucky Joburg reader can win a duo of Demelan products. Send your name & “L&L Joburg – Demelan” in the subject line in an e-mail to: win@48hours.co.za, before 12pm on Monday, July 25. Good luck!